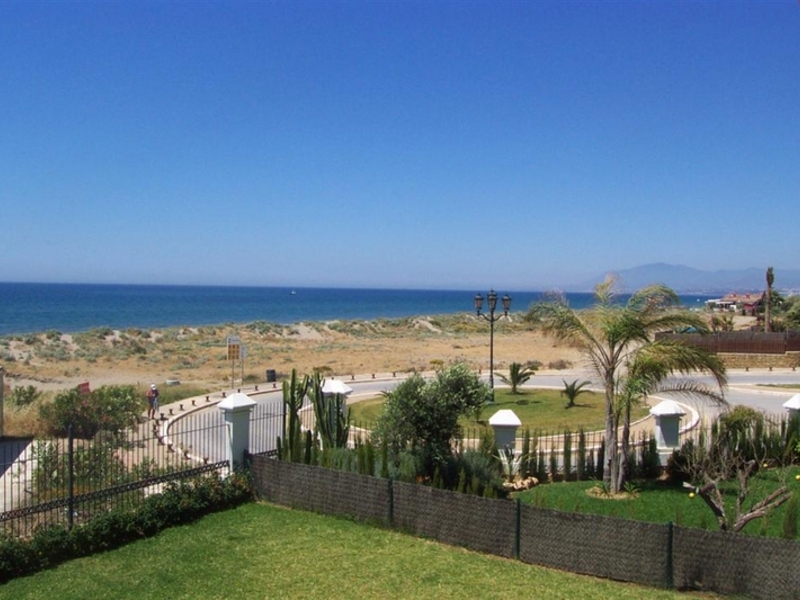 Lovely townhouse with sea views.Located east of Marbella, beach side in the district of the Los Monteros Hotel, easily accessed from Malaga international airport and only a short drive to Marbella, sporting activities and local attractions. Many golf courses surround the area, plus marinas and the beach is just a short walk away. The property offers 2 bedrooms and 2 bathrooms, guest cloakroom, living  dining room. Fully equipped kitchen. Garage space in the under ground level and storage room. Marble flooring, air conditioning & heating, telephone and satellite TV. The complex provides two swimming pools, landscaped gardens and 24 hour guarded security.